This past week hasn’t been a typical one in the wrestling world. There were more and more rumors of: Who is next to leave the WWE for AEW? Is Dean Ambrose staying or going? Are the two Rumble Winners really hurt? Would it be wise to have Charlotte face Asuka again at Mania? Is Orton leaving the WWE for AEW? How about the Uso’s? Did AJ Styles resign or did he not? Was Riddle vs Gulak the best WWE match of the week? Is the WWE panicking over AEW? Who is leaving the WWE for AEW? Reply?… Hazy, Try again. Let’s be honest here, people. Contracts have to expire or talent has to be released, before anything can be done. This is a business, and if Cody is sending out feelers there is no harm or foul to that. But, if there is money talk involved, Vince can easily have his legal team look into tampering or breach of contract. So don’t go crazy thinking every one that leaves the WWE is immediately heading to AEW. Is Dean Ambrose staying or going? My sources say no. 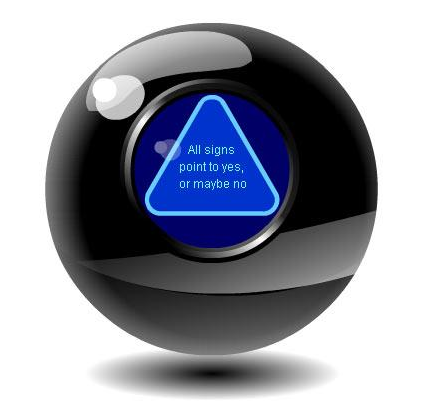 Honestly that is the answer the Magic 8 ball gave me and it is my source here. People think this is a work. People think this is real. Regardless of what we think, wouldn’t it be grand if Dean Ambrose left and Jon Moxley showed up? I personally think there is a lot of unfinished business for Good, but I also wouldn’t mind seeing him and some of the AEW talent square off. Oh well, I guess we have to wait until April to see what happens. Are the two Royal Rumble Winners really hurt? 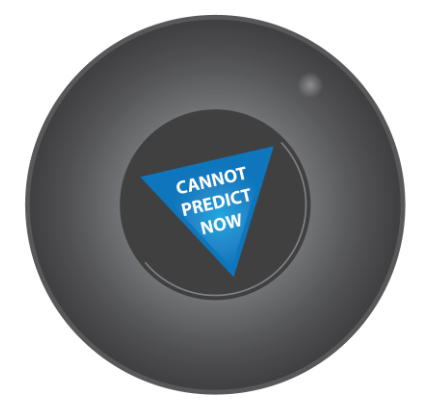 Cannot predict now. 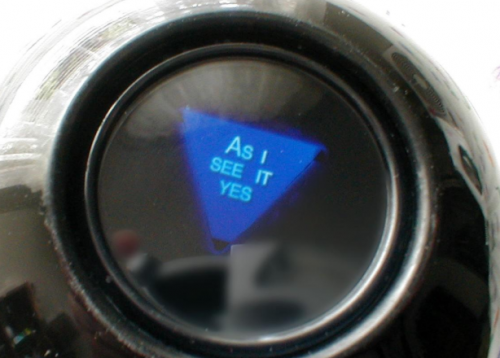 Hmm… Mr. Magic 8 Ball seems to be in a mood. I’m going to say Rollins is nursing an injury that will keep him out of action for a while and Becky Lynch is not. The WWE brass is hell bent on adding Charlotte to the match with Rousey and The Man. I’d rather see a one on one match, but if this was the plan a year in advanced don’t penalize Charlotte for Becky’s popularity. If anything, Becky pins Charlotte and Rousey still hasn’t lost a match. Rollins has arguably been the best male wrestler in the WWE with all the injuries. Let him rest so we get a solid match with him and Lesnar. Would Charlotte be better off facing Asuka in a Wrestlemania rematch? Don’t Count On it. Here’s where my evil mind actually smiles. Asuka vs Rhea Ripley. To me this is a real When World’s Collide Match. Ripley had an impressive Royal Rumble. Asuka had an impressive Royal Rumble. Why not throw these two in a match for the Smackdown title and not wait until the day after WM to bring in new blood. Start the shake up the day of Mania and send a message to the rest of the talent. Is Randy Orton going to AEW? As I see it, yes. Now this one I actually think could become true. Orton and Rhodes were in The Legacy together. They are 2nd generation wrestlers. Orton has mentioned in the past that change is good. Even a lesser schedule than he works now would give him more time with his family. This is completely believable. Remember Orton is on a 10 year contract for the WWE that he signed in 2010. The contract was no doubt good, but he has a name, and could earn a huge pay check leaving the WWE. But will loyalty keep him steadfast? Are the Uso’s heading to AEW? Signs point to yes. As much as a Young Bucks and Uso’s feud would make my tag team fantasy match come true, I can’t see Jimmy and Jey leaving the WWE. Especially if Reigns comes back and with Naomi there. However, money talks and we can’t forget one of the WWE’s best tag teams has barely seen any Wrestlemania action and that is where the big pay day is. Resentment on missing some of those days might just make this prediction believable. Did AJ Styles sign a new WWE contract? Very doubtful. This breaks my heart. AJ Styles is pound-for-pound one of the best performers in the world. He’s one of a few wrestlers I marked out for when he finally came to the WWE. Vince is to blame for him not being there in the first place, but I would love to see AJ hold the Raw belt and ride off into the sunset a WWE Hall of Famer. But, he also deserves to not be traveling that much and spend time with him family. If he goes to AEW, more power to him in conquering another promotion he definitely deserves the best for being phenomenal! Was Matt Riddle vs Drew Gulak the best WWE match of the week? Most Likely…Bro. I was shocked at how damn well these two worked in the ring and the classic old school style that they incorporated in their match. Whether Gulak is a face, a heel or a tweener, this was without a doubt some of the best wrestling I’ve seen from him since he hit 205 live. Riddle I’ve had a hard time warming up to because his feud with Ohno was decent but got a little stale in the end. Any doubt I had in him, he put to rest. Very rarely in the era of short matches to we get psychology, this match had it and more. I hope Raw and Smackdown creative was watching and took notes.